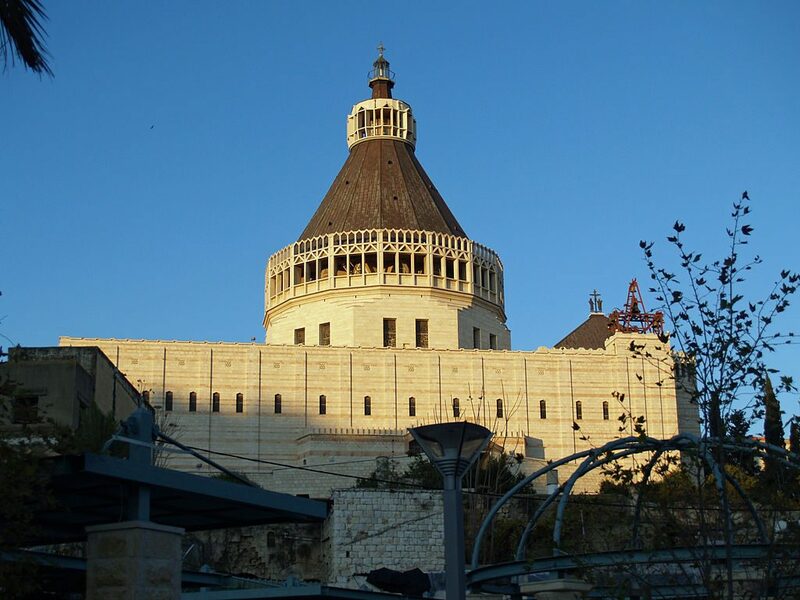 Heartfelt reflections by a Presbyterian Pastor towards the end of his career upon visiting the Holy Land for the first time. After 45 years as a Presbyterian pastor of seven local congregations and as a frequent church consultant, I had given up hope that one day I would visit Israel and do so with my wife of 56 years. I had one clear conviction however: that up close and personal Israel would far exceed my best book-generated knowledge of the Holy Land. But getting there did not seem in the cards for us. 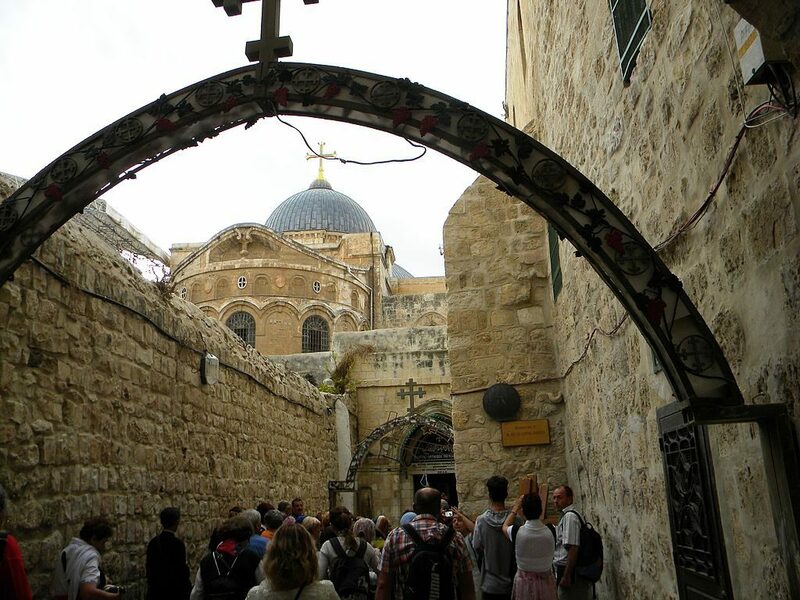 Too many major decisions and responsibilities in my pastorates and far too many other dreams of travel never seemed to open the door for a visit to Israel. We had been fortunate to visit Africa as a board member of a major mission agency. Another well known writer underwrote a trip to Europe. And my position in my denomination’s judicatory provided a mission trip to Central America. Yet, the Holy Land continued to be out of reach. Then, my gracious brother-in-law and sister-in-law gave us a wonderful gift: a week in Israel via a wonderful Holy Land travel agency and equally wonderful host. What follows is my immediate memories of a visit to Jesus’ homeland. One of the first persons we met on our 2018 visit to Israel was Tayvar Abu Susda, better known as Tass, a former personal guard for Arafat and a feared PLO sniper. He had converted to Christianity and, out of his deep concern for children in need, he established a humanitarian organization called Seeds of Hope in Jericho. We later visited Little Hearts School in Jerusalem that ministers to both Jewish, Muslim and Christian children without discrimination. Parents are informed that the school is Messianic, meaning the purpose of the school is not only to care for the children’s needs, but also to teach the Messianic understanding of Jesus/Yeshua as Savior and bring together Jews, Arabs, and Christians as one! Children come in large numbers to receive the care offered by the school and learn English. We could surely learn from that approach to human differences. We met many Jews and Arabs who expressed no animosity but only kindness toward the other race. We boarded a 24-foot wooden hull boat and launched out into the Galilean seas. A colorful Israeli flag headed the bow of our boat. After sailing a couple hundred yards from shore, the captain stopped our boat, cut the motor and after a few moments of silence, he turned on the boat’s speakers and played the American National Anthem. Israeli and American flags billowed together on the boat’s bow. I have never been more proud to be an American. Another lesson in civility and respect. Soon after returning to shore we were shown a section of beach where we learned it was on that sandy shore that Jesus had prepared a charcoal dinner for his disciples after greeting them by walking on the water to their boat where they were fishing. I stood there on that beach and marveled that the sand on which I was standing was the dinner location for Jesus and the twelve men he had drawn to himself as his intimate friends and followers. It was mindboggling to see the ruins of a synagogue where Jesus preached and taught the crowds of people who followed him most everywhere he walked. And equally impressive were the endless miles Jesus and his disciples walked in Israel. 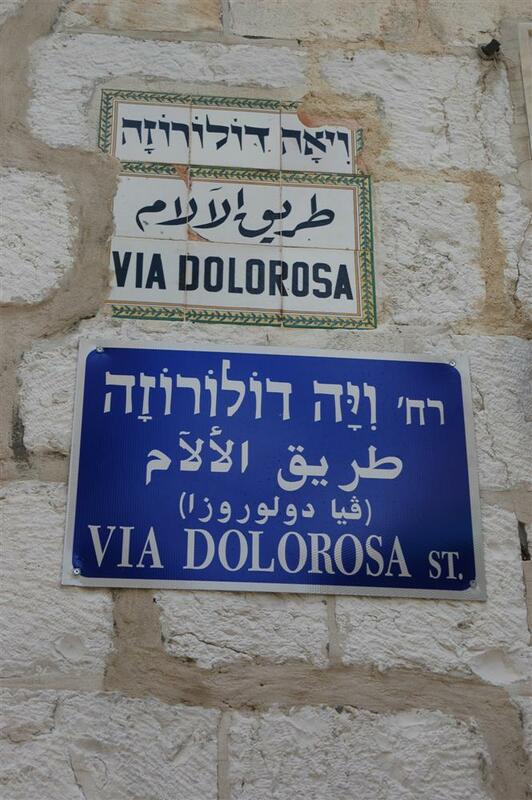 A most inspiring moment occurred when we stepped onto the Via Dolorosa, the street Jesus walked, carrying his cross to the hill of Calvary. That was one time we were certain that we walked where Jesus walked. We knew we were treading on holy ground. A little more than three hours later, after carrying his cross, Jesus was dead, crucified on the Rock of the Skull. We visited what many believe was Jesus’ burial site. There, basically underground, on a solid rock bed, he was laid to rest. Above his death bed Messianic Jews had cut a cross in the rock wall. We stood there in silence and awe. Having preached about his crucifixion and burial, the reality of the history lesson was far more stunning and better than any theologian’s lecture or pastor’s sermon. We observed Orthodox Jews and Christians praying and weeping at the Wailing Wall, or the Western Wall, the remains of the retaining wall of the once great temple build by Herod the Great. It is the one site that defies one to name the emotions expressed by the visitor to that enormous structure. 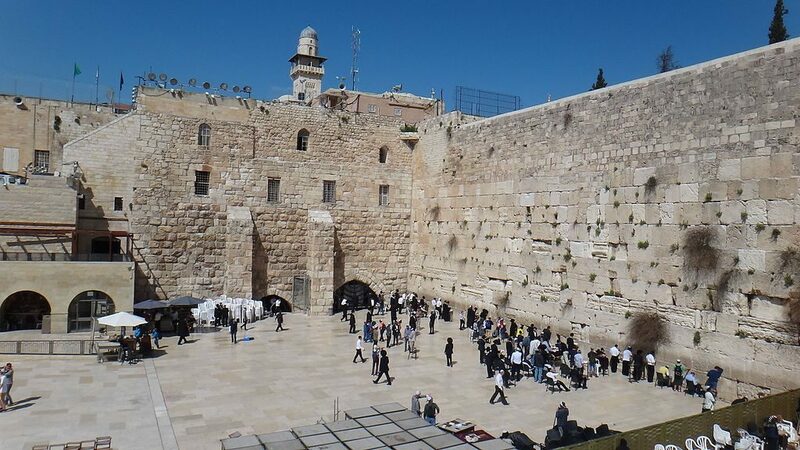 The wall is on the western side of the temple mount in the old city of Jerusalem. It is awesome, but just think of the untold millions who have visited the wall, to pray and leave a note in a crack in the wall, probably a prayer request or a remembrance of a loved one. We visited the recently excavated town of Magdala on the Sea of Galilee, the home of Mary Magdalene. 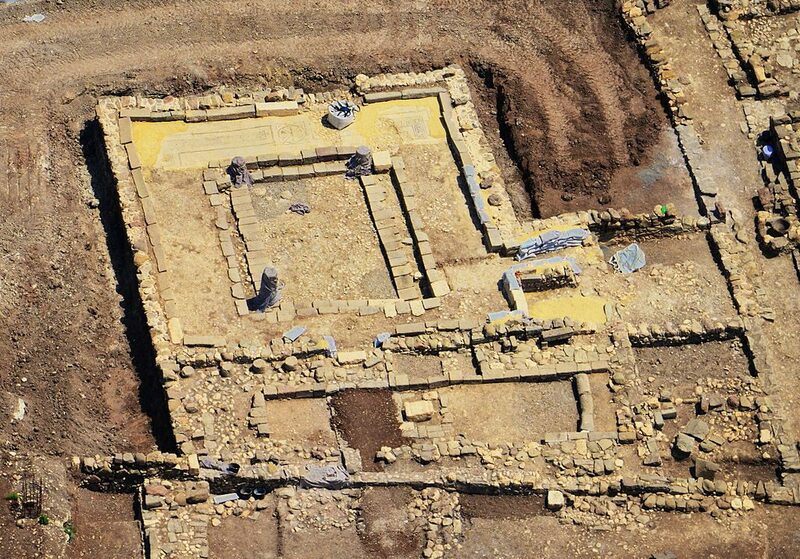 Magdala is the most recent excavation and it is huge – with much more to come from the excavation effort. It is without question a synagogue where Jesus taught. There we saw a mural of the biblical story of a woman suffering from twelve years of hemorrhaging who crept from the crowd following Jesus in an effort to simply touch the hem of his robe. She believed healing of her affliction would follow. The story tells us she was healed as a result of her faithful touch of Jesus’ garment. The powerful painting shows her slender finger reaching for Jesus’ robe. Another lesson of faith. We visited an underground prison. There people were strung up hands high above their heads and received a prescribed number of lashes. Perhaps, we were told, this is where Pilate sent Jesus to be brutally beaten before he was taken to the cross. Standing where Jesus was likely tortured with the whip was a difficult few moments as we tried to grasp the power of the site. Reading about Jesus’ suffering in commentaries and sermon anthologies simply does not ‘take you there. Being there in person, though ages have passed since his torture was inflicted, is to have your heart touched deeply. Standing twenty feet away from the spot where the scourging of our Lord took place was very different than reading about it. Another indescribable experience came when we visited the Garden of Gethsemane. There we have read and heard explained that Jesus took his disciples to pray, to explain to them what was about to happen in the next hours and why. We sat there in individual spots to think of the events of those hours. We are told Jesus instructed his disciples to wait there and pray while he went off by himself to talk to his heavenly Father. And there, when he returned to the disciples, the palace guard arrived and arrested him, and there Peter cut off the ear of a guard, and there we sat in the exact location of those moments. Nearby is the Garden Tomb where it is believed Jesus was buried. Christians rejoice because they know Sunday was coming! Our times of individual and private prayer in that holy place, thinking and attempting to actualize in our minds the hours Jesus spent in these exact spots, was more than we could grasp. Memories of sitting there in quiet contemplation still inspire. We stood next to Jacob’s well in Shechem. Standing there you try to visualize the man of God drawing water from deep in the well. And it was here that Joseph was sold into slavery by his brothers and here Joseph was later buried. So much rich history in the land of Shechem! Many stories we’ve heard throughout our lives happened here! Here Jesus met and talked to the woman at the well and she ran home to tell her family and friend, “I have found the Messiah!” What a place to relive, at least in your mind, the countless stories of God and his people. Some good, some not so good. But history tells the truth. 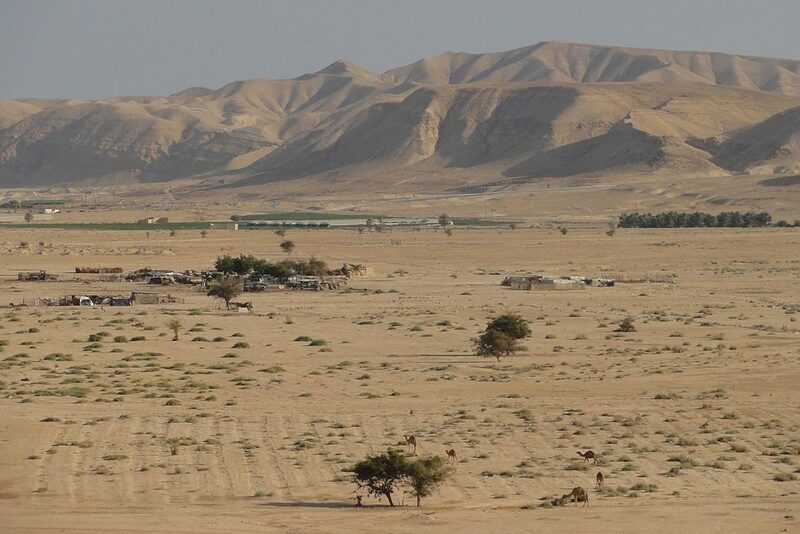 A lasting memory is a night in Jericho at the Eastern foothills of the Judean Desert. Secretly the tour group had planned my 80th birthday at an Arab restaurant. A group of Arab waiters came to my table singing “happy birthday’ and carrying several large highly decorated cakes. One cake was spouting fireworks. Back home in Mississippi the impressions generated by our visit to Israel are still very strong and have transformed my understanding of the biblical story. Thanks be to God! 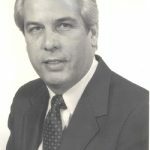 Dr. Lawrence (Larry) Wood is an ordained Presbyterian minister who served churches in Mississippi, Arkansas and Georgia for 45 years. He was involved heavily in the civil rights movements in the South, was the focus of numerous threats, and was honored by Black clergy in Arkansas for his leadership in social justice causes. Larry served as a counselor in an alcohol and drug treatment center and led a mental health association. He was president of various local human need agencies boards of directors, and was chosen for the Leadership Georgia program.